No matter what situation you currently find yourselves in, starting an online business could be the perfect solution to both your employment, and your financial issues. Unless you’re lucky enough to be a multi-millionaire, the chances are you’re going to struggle at some point over the next twelve months as the world tried to maneuver itself out of one of the worst recessions we’ve ever seen. This is why reading through all my ideas and selecting the one most suitable for you could be an essential step to insulating your family from monetary concerns. Before the digital revolution, anyone wishing to start their own employment agency would have had to commit to a lot of leg work. They would need to travel around local businesses trying to convince them to take on temporary workers, and then they’d have to advertise in local newspapers to find people willing to do the jobs. This has now changed. Due to many firms now having an online presence, there’s no reason to visit their premises at all – everything can be done online. Also, due to the lack of traditional jobs, a simple Facebook status letting people know you need workers should be sufficient enough to create a lot of interest. Ten years ago it was possible to make thousands each month from a single affiliate website if you promoted it properly. However, the rules changed after some time, and now it’s a little more tricky – tricky, but not impossible. These day’s you’re going to need to design a number of large websites that list hundreds of products if you want to earn a good wage. Alternatively, you could pay someone else to do all this for you via the freelance websites I’ll mention in a second. If you’re particular skilled at writing or design work, you’ll be glad to know there’s some amazingly simple freelance sites online now that specialise in linking people just like you with those who need work completing. Some of the sites you may wish to consider are People Per Hour and Elance, although there are many others. You have to allow the site to take a small commission on any payments you receive (usually around 10 to 19%), but this is acceptable as most jobs pay pretty well to account for this loss. Anyone with experience in stock market trading can make thousands online without spending a penny by offering to act as a broker for someone else with less expertise in much the same way firms like OptionsHouse do. You’ll obviously take a commission from any profits made and thus earn a good living, if you’ve got the skills required to make successful deals. Lastly, people who have specialist training and qualifications in any subject should consider starting a website and advertising themselves for some kind of virtual consultancy. So long as your skill is sought after, there will be people and companies all over the world who would benefit from your knowledge and advice, and most of them are willing to pay considerable amounts for the privilege. So, now you’ve had time to check out all my suggestions, I wonder which you feel would be most suitable. Personally, I’d try a couple of ideas before settling on the ideal online business, but how you progress from here is completely down to you. 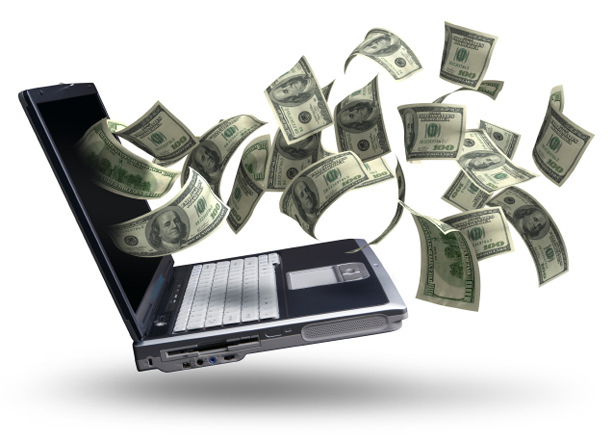 A List Of Ways To Make Money Online With A Website!